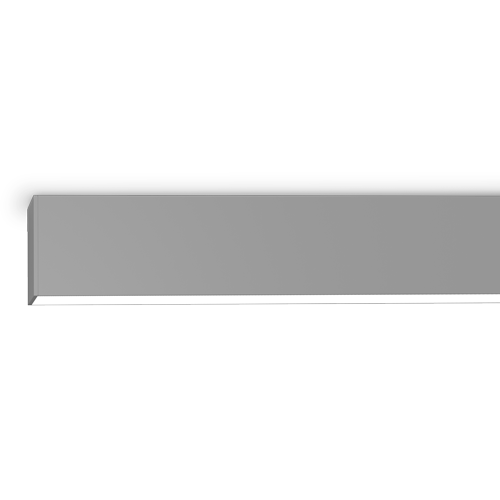 The Vector 2 is a 2-7/16” wide linear architectural luminaire. While the Vector has a slim and discreet profile, it provides excellent illumination for offices, laboratories, libraries, and commercial spaces. Vector is available in standard lengths of 2’, 3’, 4’, 6’, and 8’, and can be joined together in seamless runs of any length in 1 foot increments. 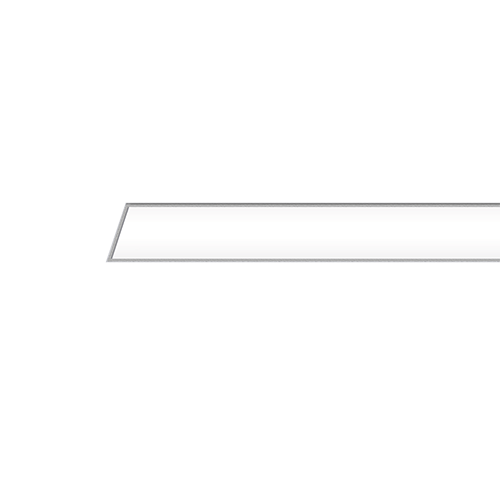 Vector 2 is a 2 7/16″ Linear architectural luminaire. While Vector has a slim and discreet profile, it provides excellent illumination for high-end spaces including offices, laboratories, libraries, and commercial spaces. 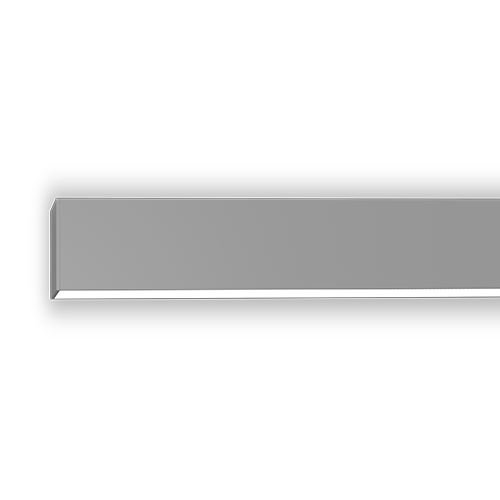 The Vector family has a recessed t-bar mounting option for three styles of t bar: 15/16″, 9/16″, and 9/16″ Screw slot. Supported by the ends, the Vector can be positioned in any position of the grid, allowing interesting staggered patterns of lights. Standards lengths of 2′, 4′, 6′ and 8′ are available, and luminaires can be daisy chained together for reduced wiring cost. The Vector recessed t-bar option is contractor friendly–wiring runs of fixtures is easy, and the modification of the t-grid is not required. Tiles can be cut by hand, as the cut edge will sit on the housing flange, which will cover up any small nicks and uneven cuts. Featuring an efficacy of up to 109 lumens per watt, the Vector delivers maximum illumination paired with minimum power consumption. Title 24 compliant, Vector allows designers to provide excellent illumination while meeting stringent requirements for Title 24 and LEED building projects. 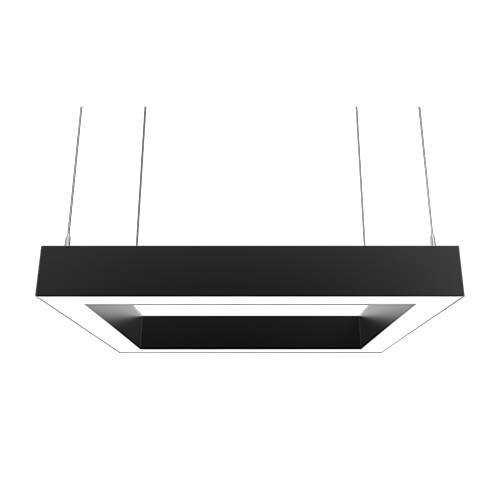 Vector 2 is a 2 7/16″ Linear architectural luminaire. While Vector has a slim and discreet profile, it provides excellent illumination for high-end spaces including offices, laboratories, libraries, and commercial spaces. 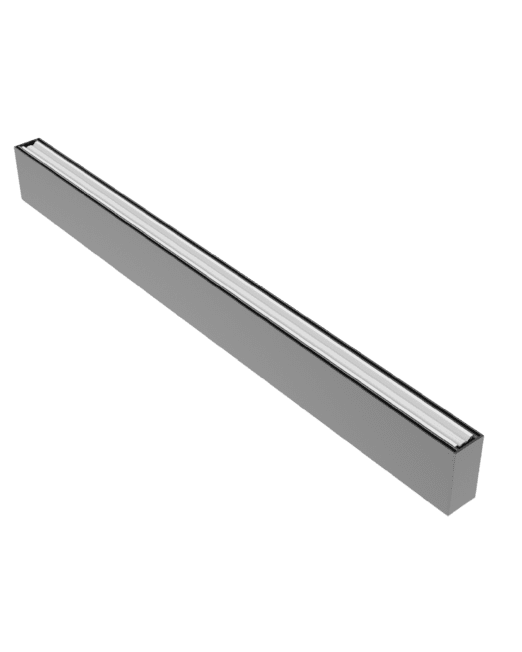 Ideal for locations with low ceilings, or where fire ratings prevent recessed luminaires, the surface mount Vector is attractive and easy to install. Mounting the Vector is simple: screws or threaded studs pass through the top of the housing to fasten the luminaire in place. 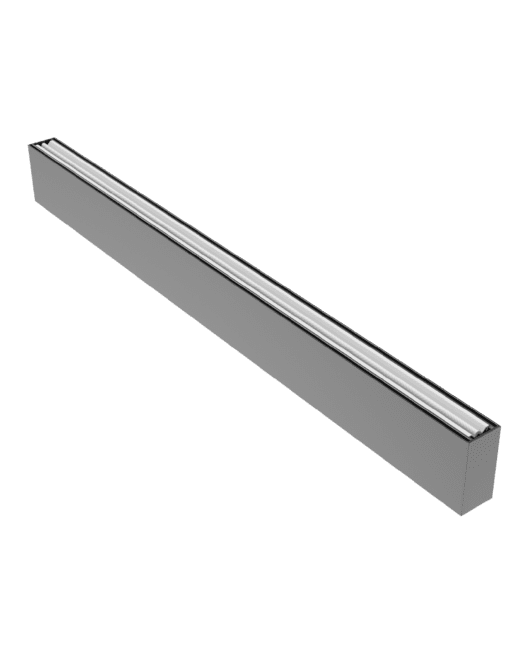 The Vector 2 Surface is available in standard lengths of 2′, 3′, 4′, 6′, and 8′, and can be joined together in seamless runs of any length in 1 foot increments. Featuring an efficacy of up to 109 lumens per watt, the Vector delivers maximum illumination paired with minimum power consumption. Title 24 compliant, Vector allows designers to provide excellent illumination while meeting stringent requirements for Title 24 and LEED building projects. Available with Cross, Corner, and Tee joiner pieces to create unique shapes throughout an interior space — see Accessories spec sheet for additional information. 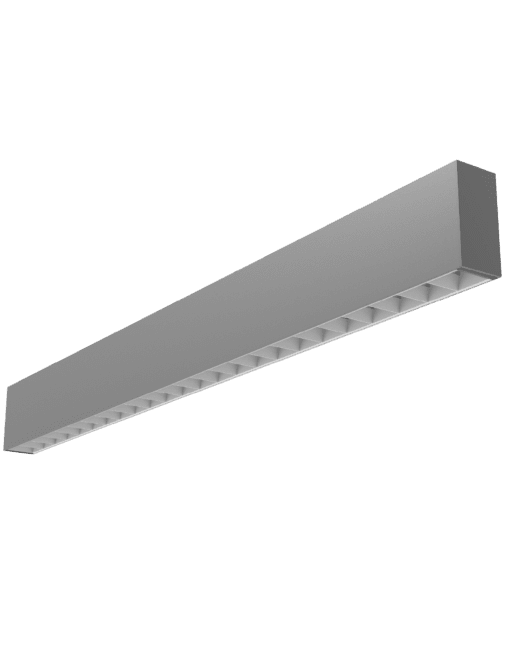 The Vector 2 Wall is a 2-7/16” wide linear architectural luminaire. 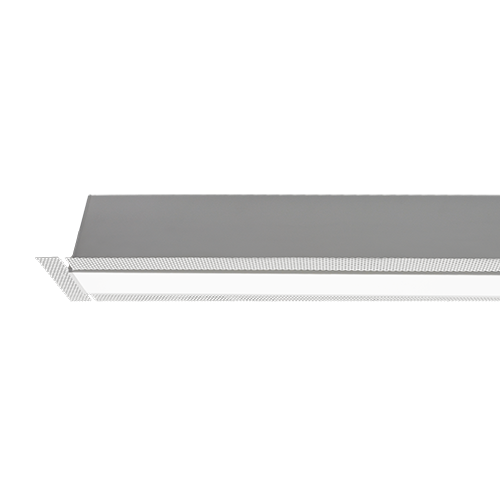 While the Vector has a slim and discreet profile, it provides excellent illumination for offices, laboratories, libraries, and commercial spaces. Vector is available in standard lengths of 2’, 3’, 4’, 6’, and 8’, and can be joined together in seamless runs of any length in 1 foot increments. The redesigned Vector Cube Pendant LED luminaire is an indoor architectural LED fixture featuring a 2 7/16” wide by 5” tall overall profile. The Vector Cube merges a sleek, minimalist design with high performance functionality to deliver a unique luminaire that complements the aesthetics of any interior space all while providing high efficacy, glare-free illumination for the space’s inhabitants. 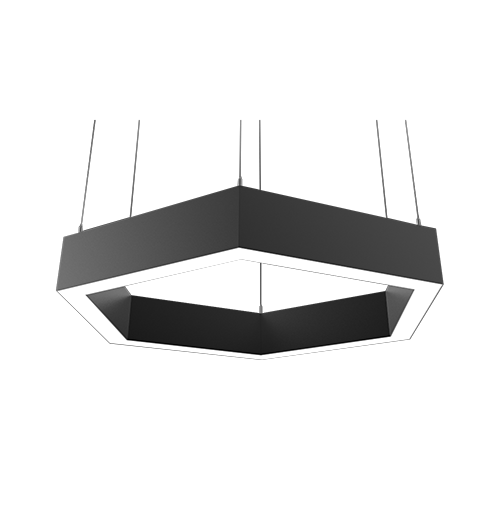 The Cube Pendant is available in standard lengths of 2’, 3’, and 4’ with direct or direct/indirect light output. 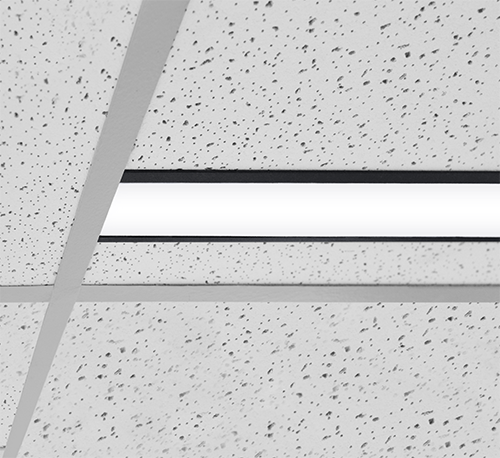 The Vector Hex is a 2 7/16” wide ambient linear architectural luminaire. 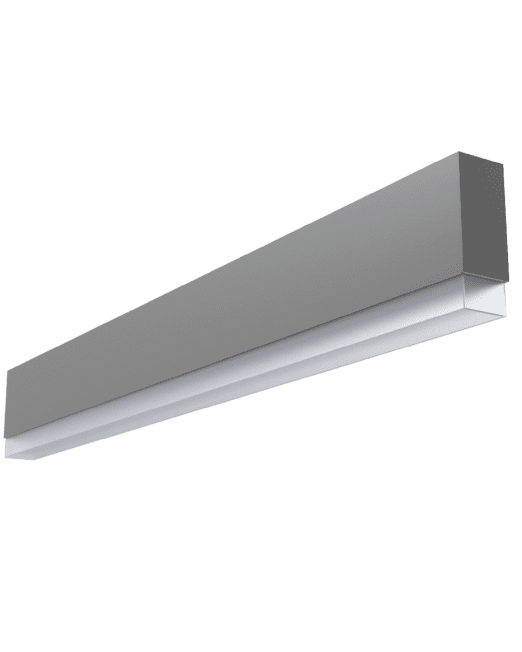 Featuring a slim profile and robust construction, it provides a bold, design-driven lighting solution for modern offices, themed public areas, laboratories, libraries, and other indoor spaces. The Hex is available in standard widths of 4’, 5’, and 7’ (measured edge to edge) with a range of lumen packages and color temperatures available, including 5-Channel Color Tuning. The Vector Triad luminaire combines a striking, bold design with top-quality illumination standard as part of the Vector series of interior luminaires. 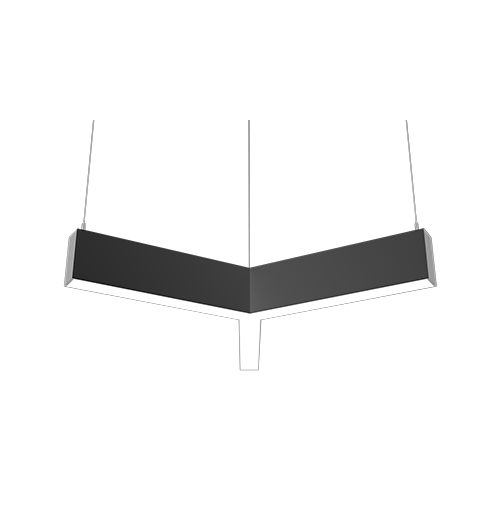 Currently available in a 2-foot aperture size, the arms of the Vector Triad luminaire can be specified in 2, 3, or 4-foot lengths. Delivering a triforce of design, performance, and robust construction, the Vector Triad aims to elevate the look of modern interior spaces with a forward-thinking and unique aesthetic.